The VectorAcademy offers numerous seminars and workshops dealing with Vector software tools, Vector standard software components, AUTOSAR and current bus technologies and protocols. The VectorAcademy offers regular training in multiple languages at various locations worldwide, including customized training classes that combine or enhance the content to your liking. Visit our new website and check out all new features. Stay informed via e-mail about important product and company news, as well as invitations and info for interesting events. Vector offers numerous seminars and workshops dealing with Vector software tools, Vector standard software components, AUTOSAR and current bus technologies and protocols. Please use the drop-down menu on the left to get a short description and a link to the product page of the selected product. Please click to show the address. 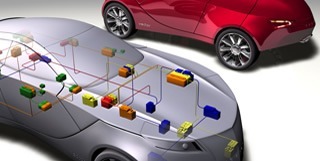 USA Vector Automotive Technology (Shanghai) Co., Ltd.
France Vector Informatik India Pvt. Ltd.
Austria Vector Japan Co. Ltd.
Japan Vector Korea IT Inc.
United Kingdom Vector Italia s.r.l. Italy Vector Informática Brasil Ltda.